Rabbits are both adorable and bubbly, and they bring endless joy into your home. However, these highly sensitive beings require plenty of care and affection in order to live to their fullest. Rabbits generally are not suitable to be handled by children, hence always keep in mind that these gentle, defenceless animals should never be treated like disposable toys. Never buy a rabbit (or any kind of animal for that matter) without having the commitment and intention to care for them long term. With the right amount of TLC, domestic rabbits can live up to 10 years! The best place for your bunnies is inside, where they can live free-reign in a safe environment. However, if you must keep them caged, remember to always let them out for a couple of hours daily to move around. Never leave your rabbits outside of the house unattended, especially when there are stray cats around! Rabbits are active, bouncy and full of life. Giving them enough time to exercise is crucial but before this can happen, it is mandatory to thoroughly rabbit-proof the area. Start by tucking away all cables and wires, especially those in tight corners where you think your bunny cannot get to (trust me, they can and they will!). A simpler option is to get a puppy pen to confine your rabbit to a safer corner while still giving them adequate room to hop about. Hay is the basis of a healthy bunny diet. Fresh hay - the main nourishment for your pet - should be accessible at all times (alfalfa for baby bunnies and timothy for adults). Supplement it with fiber-loaded pellets and clean, fresh water for optimum health and longevity. While it is tempting to feed your rabbits fresh fruits and vegetables, limit this to once a week (or even lesser if possible) as rabbits do not naturally eat greens, fruits or root vegetables. Read about why carrots are bad for rabbits and the types of food you should never feed your rabbits. Rabbits do not naturally eat greens, fruits or root vegetables. Rabbits self-groom, but it is still absolutely necessary to bring them for regular grooming. Since shedding is common, removing their excess fur is important as a lot of them are being ingested, especially during molting season. 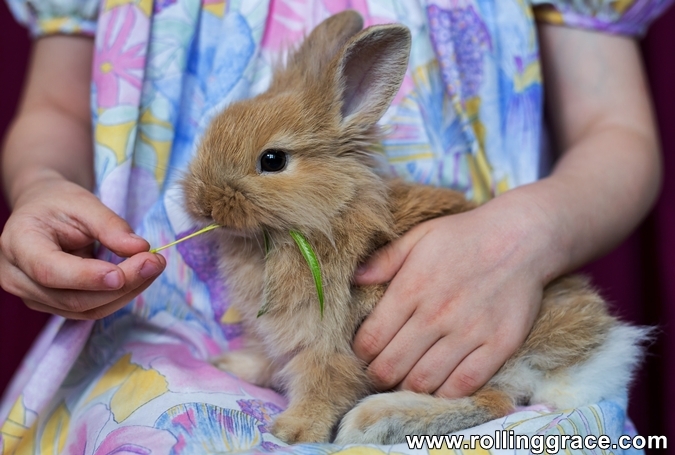 On top of that, clipping your rabbit's nails once a month is a must in order to prevent nasty injuries - most commonly by breaking their nails completely as they get hooked onto things. Rabbits love to play! They need hopping space as much as they need mental stimulation, so make sure you provide them with safe, chewing toys (card boxes make the most economical and convenient option) or once in a while, nutritional treats that are organic and free from artificial, harmful ingredients. 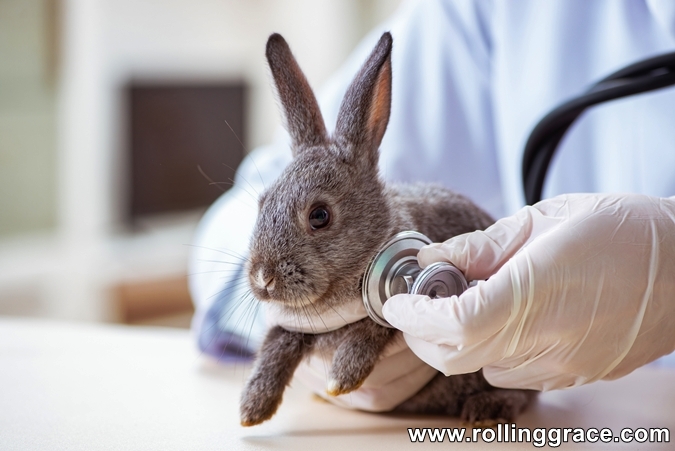 Find a vet who is capable of treating rabbits. Rabbits are preys, so it is their natural instinct to conceal any sign of weaknesses or diseases. To be able to clearly identity a health issue in your pet, attention should be paid on its eating, drinking and excreting patterns. You must also consider spaying or neutering as this procedure not only reduces aggression in a maturing rabbit, but it also effectively minimizes the risk of developing cancers of the uterus or testicles. It should be your number-one priority to find a vet who is capable of treating rabbits so you know where to go when your pet falls sick. Always pay attention to your rabbit's eating, drinking and excreting patterns. Rabbits are unique. They may look calm and composed all the time, but when they do show signs of emotions, they will act in ways that are noticeably different from dogs and cats. 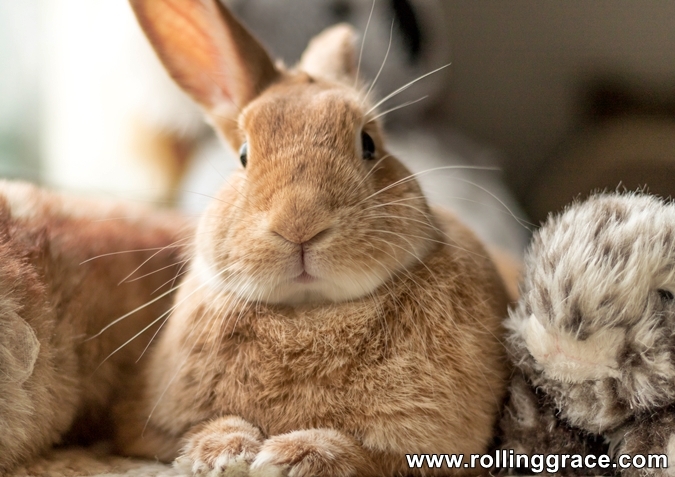 Here's a guide to understanding your stay-at-home bunny. When you are traveling, make sure that your rabbits are being looked after and not abandoned. The best option is to leave them at a clean and credible pet hostel. 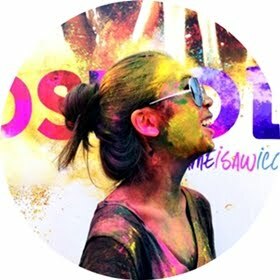 Check the place out to make sure that it is hygienic, does not house sickly animals, and preferably, free from dogs as their barks might frighten the rabbits. Do not leave your rabbit unattended for more than 2 days and make sure pellets, fresh hay and clean water are adequately provided! Rabbits can die from fright and shock. Loud noises (like fireworks) or rough handling can lead to heart attack and subsequently, sudden death. Always make sure your rabbits are being housed in a quiet, safeguarded corner. Give your rabbit a quick inspection before going to bed every evening. Look out for watery eyes or nose, broken nails, poop inconsistency and irregular eating pattern. Rabbits are not solitary animals. Hence, if you only have one rabbit at home, remember to spend a lot of time with it! Spay/neuter your rabbits as soon as they are sexually matured, usually around 4 months of age or for males, when their testicles descend. However, most vets would only perform surgeries on rabbits of 6 months old or older so as to minimise the risks. Rabbits feel safer on ground level. Carrying them while sitting down can help prevent them from slipping out of your hands and causing unwanted injuries to your delicate pets.